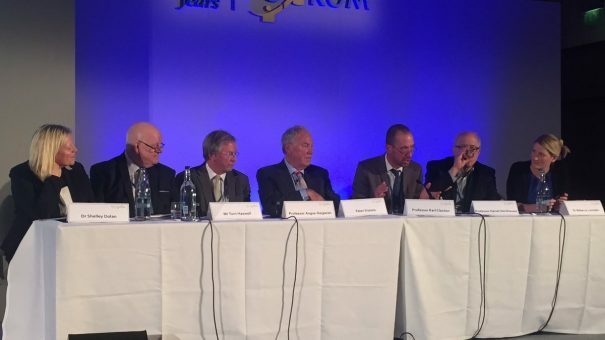 Hot topics, ranging from the seven-days- a-week NHS to Brexit, were on the agenda for healthcare experts on the panel at the recent 10 th UK Oncology Forum, chaired by respected broadcaster and journalist Peter Sissons. Louise Bellamy reports. Healthcare leaders had the opportunity to debate diverse themes affecting patients and clinicians in front of a packed house at the much-anticipated political session held at the UK Oncology Forum last week. The distinguished panel included Dr Shelley Dolan, Chief Nurse at the Royal Marsden Hospital, Professor Angus Dalgleish, Professor of Oncology, St George’s, University of London, Tom Haswell, patient representative and NCRI CTRad, Screening, Prevention &amp; Early Diagnosis Advisory Group (SPED), Professor Karl Claxton, Professor in the Department of Economics and Related Studies at the University of York, Professor Daniel Hochhauser, Consultant Medical Oncologist, UCL Cancer Institute and Dr Rebecca Lumsden, Head of Science Policy at the ABPI. The debate opened with a question on how oncology fitted in with plans for the seven-days- a-week NHS, with the panel contending that, though there was already cover in the right areas, there was still work to do to ensure that the NHS could care for people with cancer at every stage of their journey. Patient representative Tom Haswell mentioned that data showed patients going into hospital at weekends had worse outcomes and Daniel Hochhauser agreed that it was difficult enough running clinics and services across five days, let alone seven, and pointed out that a number of hospitals still did not have proper ward rounds and care at weekends. Summing up, Rebecca Lumsden stated that what was available did meet certain needs, but she reiterated that there was always room for improvement. The panel members were asked how they felt about the junior doctors’ contract negotiations, following the strikes earlier this year. Professors Claxton and Hochhauser agreed that the demoralisation of junior doctors would have repercussions for a long time to come. They felt that the British Medical Association’s (BMA) approach to contract negotiation had been damaging to the profession with Daniel Hochhauser calling it ‘tactically useless and incompetent’. Despite criticising the BMA, the panel praised the way junior doctors conducted themselves throughout the negotiations, with Prof Claxton reminding the audience that nurses also worked extremely hard on very low wages. The discussion then segued into whether the NHS was over- or under-managed, with the panel proffering differing views. Some felt managers were easy scapegoats, while others were of the opinion that there were more managers than beds and more doctors were needed, rather than better administration. Asked whether investment in new cancer drugs improved outcomes for cancer patients in general, or whether money would be better spent elsewhere in the NHS, Rebecca Lumsden commented that evidence showed new cancer drugs did have improved outcomes but developing them was risky. Tom Haswell felt that money could be spent elsewhere, but not necessarily in a better way, as he felt there was a need to invest in new treatments. Peter Sissons interjected to ask what constituted a good outcome, pointing out that, for many cancer patients, even an extra month with their families was a good outcome. Daniel Hochhauser stated that the UK was ‘the centre for global cancer research’ and added that it didn’t spend enough money on the NHS. He said it wasn’t right to spend money on research and never see medicines used as a result. The next question concerned how increasing privatisation of the NHS would affect oncology. Daniel Hochhauser felt that privatisation should not be considered a dirty word, but cited the US as not an example of a hugely successful health system. Karl Claxton felt private markets worked well if consumers could assess quality and make choices, as they could with choosing consumer goods like smartphones, but this wasn’t the case with healthcare. Angus Dalgleish commented that some privatisation was a good thing and referenced world-respected oncologist and campaigner for better universal cancer treatment Professor Karol Sikora who created a network of Proton Beam Therapy centres in the UK and abroad, funded by private equity. The debate ended with the question of whether the UK should remain in Europe. The panel’s consensus was to stay, with Rebecca Lumsden pointing out that the EU was extremely beneficial for cancer research in terms of funding, free movement of skilled scientists and cross-border collaboration. Karl Claxton felt that leaving Europe would inevitably mean a recession. Concluding an excellent cancer-focused ‘Question Time’, a straw poll was taken with the audience, who voted 55:45 in favour of remaining within the EU. Read more about the 10 th UK Oncology Forum here. 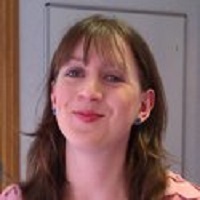 Louise Bellamy is Senior Account Manager at pharmaphorum.